Kean Stage is the leading provider for performance events on campus. Part of Kean University's mission of offering a world-class college experience is the presentation of world-class performances through Kean Stage. Each year, Kean Stage offers a variety of different performances, showcases, and plays of all kinds to bring students and members of the community to Kean to enjoy. These showcases take place around campus in one of Kean's many theatres. Kean Stage is dedicated to a mission of educating and entertaining the Kean community with diverse quality programming and connecting students to performances that will expand their learning beyond the classroom. Providing an affordable option to experience world-class performances, Kean Stage often offers opportunities to take trips to watch professional theatre, Broadway tours, dance companies and concert artists to students for a discounted rate ranging from $2 to $15. These trips are often planned in coordination with the Office of Student Government and P.U.L.S.E. Kean Stage offers positions of employment to students who want to be involved with the performing arts. They are looking for students with positive attitudes, great attentiveness and the ability to work effectively and responsibly. Employment opportunities as ushers, backstage technicians and box office staff can be held by students who apply with Kean Stage. More information on these positions can be accessed by contacting Kean Stage at (908) 737-7469, emailing keanstage@kean.edu or visiting them at Wilkins Theatre to pick up an application. Positions are only offered to undergraduate Kean students. In September, Kean Stage is presenting two shows. The first is "Bebe Neuwirth: Stories with Piano," opening the 2018-2019 Kean Stage season with an evening of music and storytelling. Bebe Neuwirth is recognized for her award-winning performance as Lilith Sternin Crane in the television show Cheers, as well as her Tony award-winning success on Broadway with roles in Sweet Charity and Chicago. 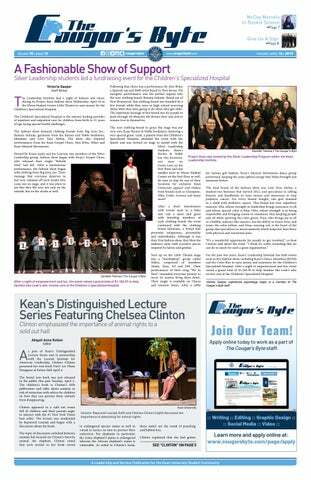 Kean Stage kicks off its 2018-2019 season with Bebe Neuwirth: Stories with Piano. The other event taking place in September and carrying into October from Kean stage features The Manhattan Transfer. The Manhattan Transfer is a four person vocal group formed in 1972. They reached massive success with top 20 hits and eight Grammy awards in the pop and jazz categories. Kean alum Class of 1971 Alan Paul is a founding member of The Manhattan Transfer. Featuring Kean alum Alan Paul, The Manhattan Transfer brings their Grammy award winning repertoire to Kean Stage! Kean Stage holds events all throughout the academic year that vary in interests, artists, groups and audiences. There are programs that aim to educate and entertain students and the Kean community on culture, history and performance. Students should take advantage of the wide range of arts offered to them at Kean University by Kean Stage. Kean Stage hopes to see students at events during their upcoming season. 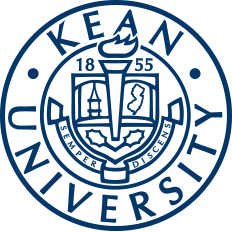 For more information on Kean Stage, visit their website or contact them by emailing keanstage@kean.edu or calling (908) 737-7469. For information on tickets, email ticket@kean.edu or visit the Wilkins Theatre box office.